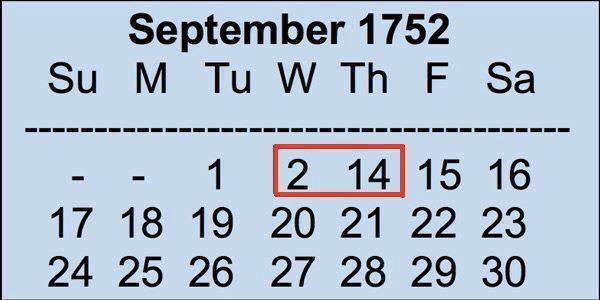 Just have a look at the calendar for the month of September 1752. You will notice, 11 days are simply missing from the month. This was the month during which England shifted from the Roman Julian Calendar to the Gregorian Calendar. A Julian year was 11 days longer than a Gregorian year. So, the King of England ordered 11 days to be wiped off the face of that particular month. So, the workers worked for 11 days less that month, but got paid for the whole month. That's how the concept of "paid leave" was born.